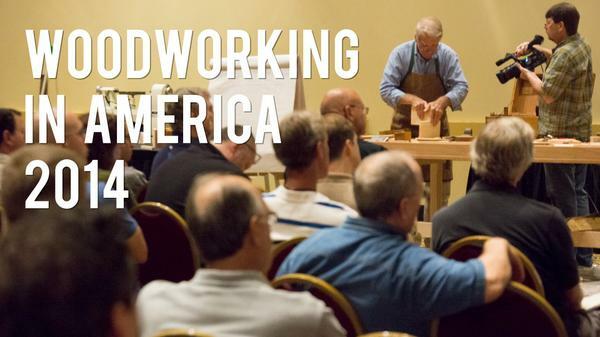 Woodworking in America (#WIA14) was this passed weekend. I had to sit it out for the first time in 5 years as the dates conflicted with my youngest Son's birthday and my older Twins' first Webelos campout. Luckily, many of my friends were able to go and even through the bitterness of having to miss it I've enjoyed everyone's posts. A wonderful heading for the weekend, stolen from The Drunken Woodworker. While I checked twitter constantly during the even (even while camping), I'm finding the post #WIA14 blogs are where it's at for wonderful wrap ups. First to check out should be Midnight Woodworking. 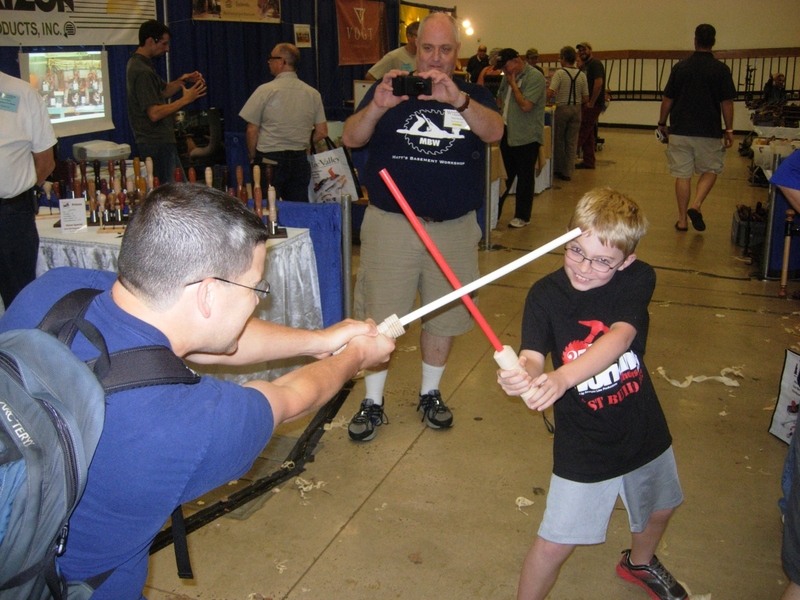 Lawrence brought his son Adam to #WIA14 and they had a wonderful time. Adam made two very cool light sabers. Next up is Tom's Workbench. 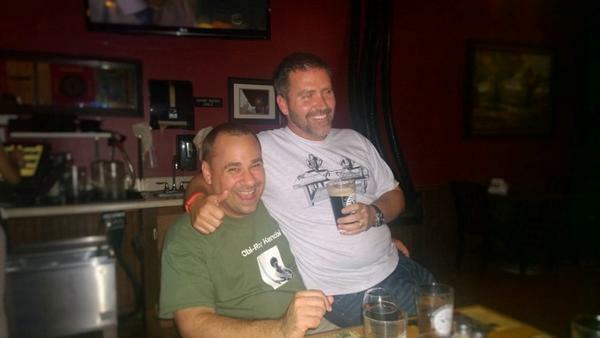 Tom, Chris and Sean were carrying our MWA mantle at #WIA a man down and they did right by me. Tom got very social. Not to be left out is Popular Woodworking's own Megan Fitzpatrick. She took some damn good photos during the event and shares them in her blog too. My friends, up to no good. 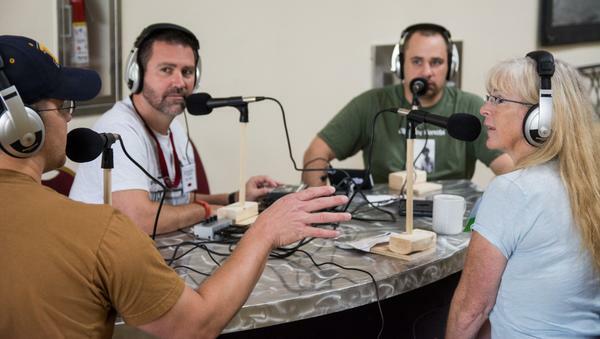 Luckily, there Tom and Chris were able to get some audio too and we should have one hell of a podcast coming up. With any more luck, the dates will change for #WIA15 and we'll all be able to make it. Clearly, adult supervision was needed.